Say this for small American towns: They know how to slowwww dowwwwn. They’re ideal for young kids and retirees, two groups who favor the chiller things in life: short walks, sunny parks, uncrowded beaches, unhurried conversations. 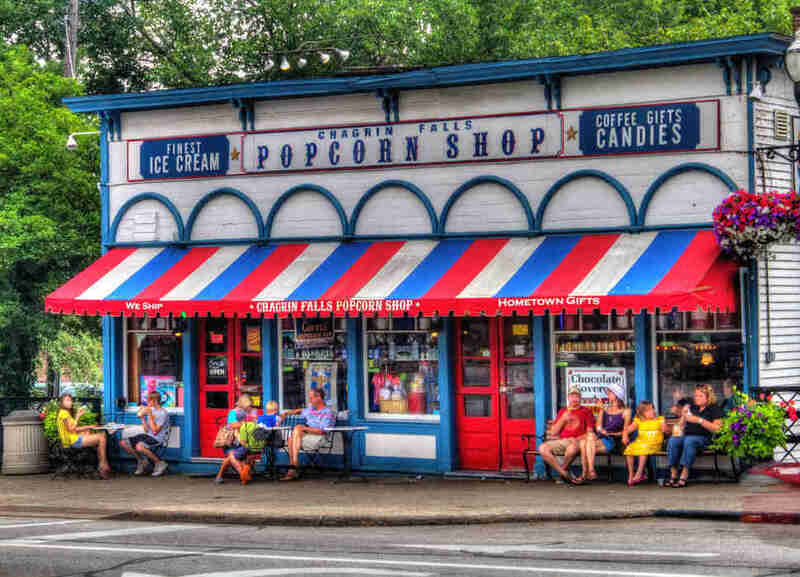 Small-towners also dig on taffy, chicken-fried steak, old-timey train stations, historical markers, quirky festivals, driving barefoot, free parking everywhere, $7 pitchers of Bud heavy, nodding hello to strangers, and other things that never really go out of style. We searched for small towns with populations under 60k where you can get a glimpse of the good life after the rat race, eat well, see actual stars at night, and still find plenty of activities to keep boredom at bay. Would you want to live there? Probably not -- if everyone did, there’d be a whole city there by now. But do you want to step out of your life for a couple of long, languid days? 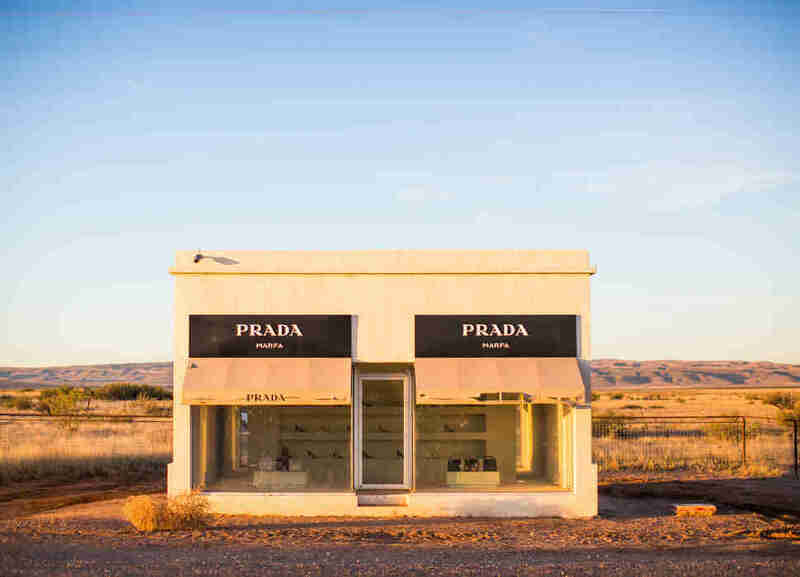 Yeah, you definitely could stand to visit one of these gems. Yes, Juneau is the capital. But almost every Alaska city is small, and when it comes to food none of them -- not even big, bad Anchorage -- has a culinary scene like Juneau. Tracy’s is the outpost of a seafood processing company that plates the freshest king crabs in America. Juneau is also home to three spots from James Beard Award nominee Beau Schooler: Rookery Café, Panhandle Provisions, and In Bocca al Lupo. After stuffing yourself, you’ll have no shortage of places to burn it all off; hiking trails into the Alaskan wilderness literally start in the center of town, with boatloads of excursions out into Alaska’s inner passage. -- M.M. In the state with a full 10th of the US population, finding one small city to call “best” is nearly impossible. You’ve got the tiny towns of wine country like Sonoma, Napa, and Buellton. The Scandinavian charm of Solvang. The food in Healdsburg. Turlock. So what puts SLO on top? Well, the setting for one. Nestled in the hills of California’s fabled Central Coast, it’s only a short trip to Hearst Castle, Julia Pfeiffer Burns State Park, Morro Bay, and wine country. But even if you don’t leave the city, there’s plenty to see -- the public art is better than in many large cities, including creatively decorated utility boxes and a 70-foot alley covered in bubblegum. A trip on the first Friday of the month lets you experience Art After Dark, a stroll through SLO’s finest galleries and performance spaces. Go in the summer and you’ll catch a free concert in the Spanish-colonial Mission Plaza. Forty miles of hiking and biking trails extend from the center of Downtown, so you can explore that gorgeous coastline from something other than your car. -- M.M. Florida isn't known for embracing history above, say, swaths of condominiums. 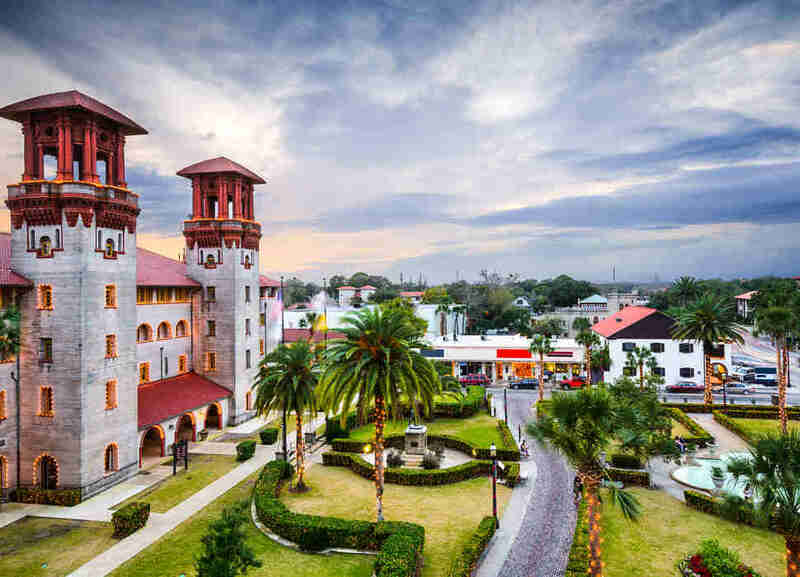 But St. Augustine is the rare patch of the Sunshine State that showcases its roots. The oldest permanent settlement in America is most easily recognized by the Castillo de San Marcos, an epic Spanish fort sitting right on Matanzas Bay, the oldest of its kind in the contiguous States. It’s but a precursor to the charm of the Old City, where 18th- and 19th-century buildings remind us of a time when Florida was but a small southern outpost of the bigger colonies. Now it's filled with bars and restaurants (many of which are rumored to be haunted) that make St. Augustine one of the state’s best destinations for nightlife. And if all that history gets old, it’s still Florida, so white sandy beaches are just a short drive over the Bay. -- M.M. 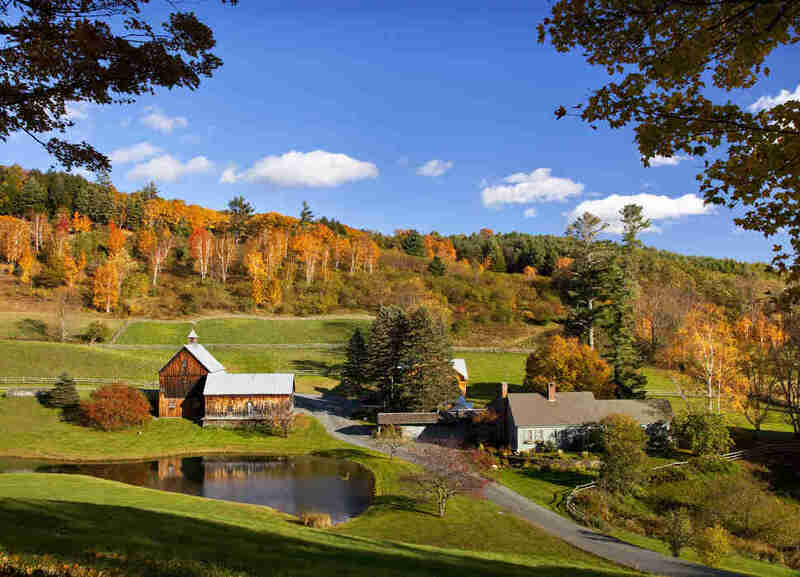 When you think of wine country and Bavarian towns, one place naturally comes to mind: the Blue Ridge Mountains. No? Well, you, my friend, have never been to Helen, the quirkiest little town in the Peach State. Turning onto the main drag is like apparating from the Deep South to the German Alps in two seconds flat. The street is lined with chocolatiers, biergartens, and souvenir shops that’ll have you thinking you’re in Europe. 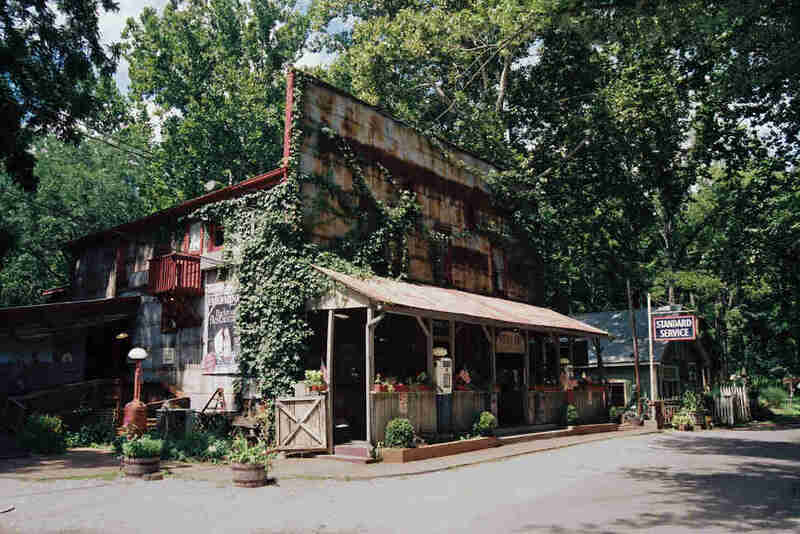 Outside town are a handful of wineries where visitors learn that “Georgia Wine” isn’t just a nice way of saying moonshine. It’s also set right on the Chattahoochee River, which means plenty of rafting, fishing, and hiking. If you can’t make it in the summer, Oktoberfest here is appropriately huge. -- M.M. Next time you find yourself trying to break the ice with some statuesque Norwegian at a cocktail party, bust this one out: “You ever been to the National Norwegian-American Museum? No? It’s in Decorah, Iowa, and let me tell you...” Decorah is a jumping-off point for the best wilderness in the Hawkeye State; canoeing, mountain biking, cross-country skiing, fishing, and bird-watching are a short drive out of town. You’ll also find the Toppling Goliath Brewery here. And while breweries nowadays are about as rare as stoplights, this one produces Kentucky Brunch, an imperial coffee stout aged in whiskey barrels that was named best beer IN THE WORLD by RateBeer users. -- M.M. Covington might be considered the hipster enclave of Cincinnati, an impressive collection of cool restaurants, whiskey bars, and lounges set right across the Ohio River. The city boasts a whopping TWELVE historic districts, the most impressive of which is MainStrasse. Here you’ll find some of the best restaurants in Kentucky, like Stephen Williams’ Bouquet and brunch-staple Otto’s, plus two of America’s best bourbon bars at Wiseguy Lounge and Old Kentucky Bourbon Bar, and a brand-new cocktail lounge, Hannaford, at the 100-year-old Mutual Building. 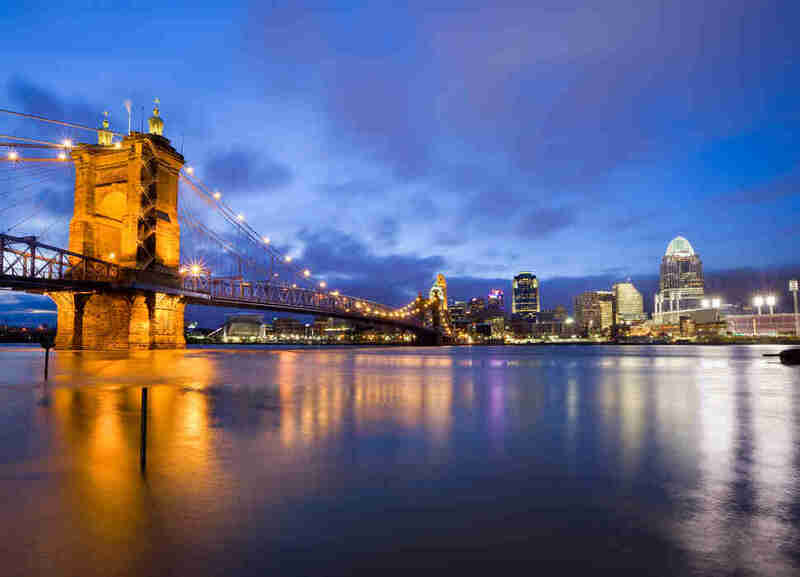 Covington’s waterfront has blowout views of America’s 10th-best skyline; most notably the Roebling Suspension Bridge, which served as the architectural forerunner of its sister bridge in Brooklyn. -- M.M. Back when yellow fever was still a thing, turn-of-the-20th-century New Orleanians with a few bucks used this town just across Lake Pontchartrain as an escape from the diseased city. After the Depression, the colorful hotels where they used to frolic fell into disrepair. 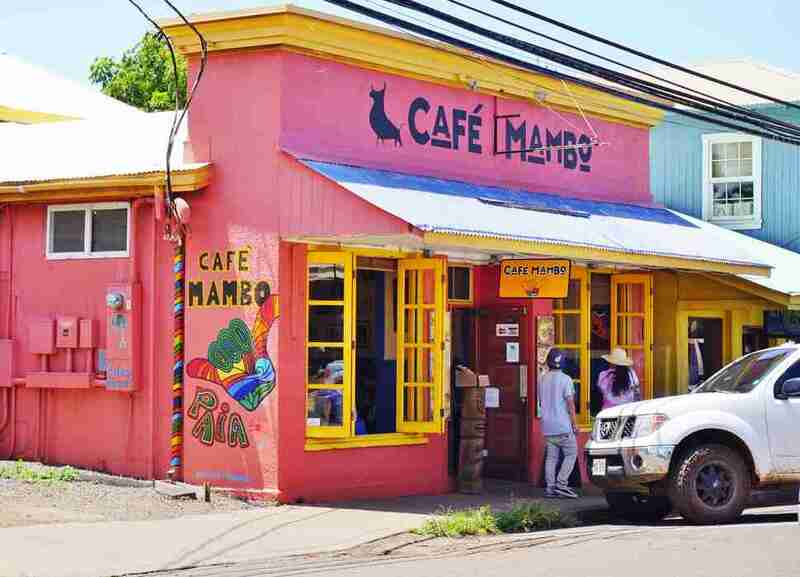 In the 1970s a group of enterprising hippies brought them back to life; now they're private homes and B&Bs, lining the streets of the most hippie town on the Bayou. In addition to the cool old architecture, Abita Springs is also home to the regionally renowned Abita Brewing Company, and its “this tastes so good I should probably keep reminding myself it’s 8% ABV” Andygator pilsner. -- M.M. The Eastern Shore’s best-kept secret is this teensy, off-the-beaten-path town where one of Maryland’s biggest crabbing families -- the Phillipses, of the Phillips Seafood empire -- got their start in 1914. Seafood lovers should shell up here for a few days simply because it serves some of the freshest damn seafood in the state. Take a boat tour with Hoopers Island Oyster Aquaculture Company and learn how Chesapeake oysters are hatched, raised, and shucked. Or visit Old Salty’s, a Maryland institution with more than a dozen crab dishes on the menu -- crab pretzels, crab nuggets, soft-shell crab sandwiches, the works. Post-crab, check out the tranquil Blackwater National Wildlife Refuge for stand-up paddleboarding, kayaking, or biking. --T.E. Far away from Boston, Northampton is a low-key paradise full of friendly hippies, college-appetite-appeasing greasy spoons, and gorgeous fall foliage. It lies north of Springfield in a region called the Pioneer Valley, and while the actual pioneers here currently trend toward the politically progressive type, the "Valley" part of that moniker is still instantly apparent when you catch a glimpse of the beautiful rolling hills, river waters, and forests surrounding you. Be sure to hit Local Burger for a killer burger, The Foundry for an extensive beer list, and Ben & Bill's Chocolate Emporium to fill any gaps left in your stomach. Remember: the more you eat, the more strength you'll have for a hike up nearby Mount Holyoke. -- A.L. Throw a Petoskey Stone in upper Michigan and you’re bound to hit a great town. For those of us who grew up visiting the shores (inland and Great) of Michigan’s lakes, the best small town is the one you know best. Still, it’s hard to argue against the splendor of Traverse City, which for good reason swells with tourists on its beaches and picturesque Downtown all summer. Those sandy beaches and the Cherry Festival and Film Fest obscure its status as one of America’s best small-town beer destinations, and the region’s vineyards are sneakily pushing out world-class pinots and cutting-edge ice wine. -- A.K. Sitting anywhere along Government St in Ocean Springs, you can hear live music -- rock, country, bluegrass, even hip-hop -- coming from a bar only a few feet away. The small stretch of watering holes along this coastal city’s main drag is a little slice of Austin or Nashville plopped on the Bayou, making a weekend bar crawl here as entertaining as anywhere. Your days are for paddleboarding and kayaking along the Gulf Islands National Seashore, and a short boat ride out to the barrier islands finds you on the kind of turquoise, white sand beaches you never knew existed in Mississippi. -- M.M. Huge by Montana standards, this is basically Manhattan compared to other great towns like Livingston and Whitefish. That's not to be flip: It’s a cultural hub that includes a college, a gorgeous old movie theater in its oh-so-Western Downtown, great beer, a vibrant bluegrass scene, and some of the best stargazing to be had in any American town. If that sky’s not big enough, well, drive 5 miles in any direction and you’re deep in the wilderness. This is, after all, the gateway to brambly back country, the perfect place to enjoy modern conveniences, then vanish into the wild. -- A.K. If you’re not into desert ‘scapes, anywhere in Nevada not called Vegas or Tahoe won’t be for you. But if you can appreciate the beauty of vast, sandy plateaus backed by majestic red mountains, Elko might be America’s greatest hidden gem. It’s Nevada’s equivalent of a Rocky Mountain town without the tourists or the painful price tags. The annual National Cowboy Poetry Gathering convenes here, because beneath its rough exterior, just like those cowboy poets, Elko has an artistic soul. 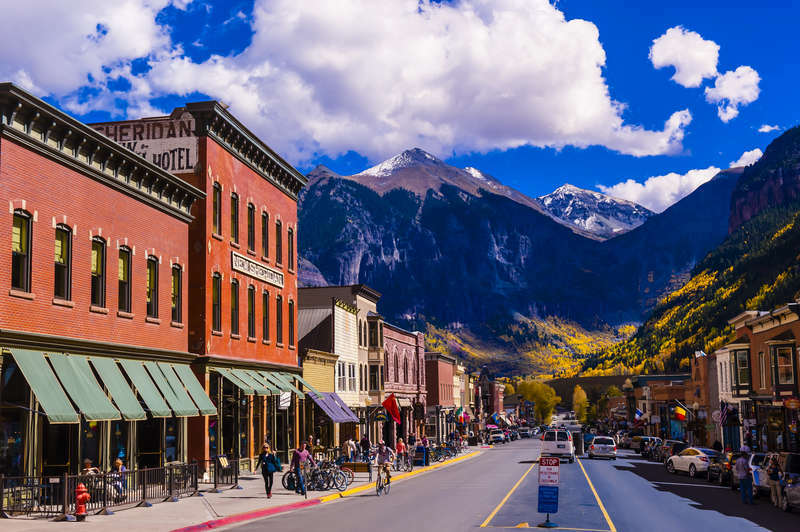 The streets are lined with shops from artisans hawking crafts, paintings, photographs, and the kinds of wares one would more expect to see in a place like Aspen. It’s also a jumping-off point to the Ruby Mountains and canyons beyond, where extreme hiking, heli-skiing, and off-road ATV-ing are daily adventures. -- M.M. 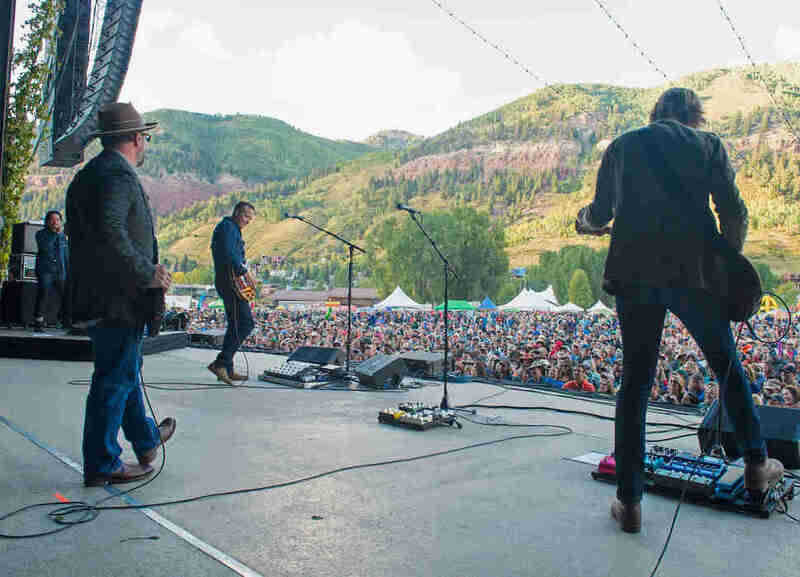 With more than 300 days of sunshine and a Wild West vibe, this mining town entertains quirky creative types, outdoor enthusiasts, and brave road-trippers with a slew of year-round festivals and plenty of good grub. Highlights include the Blues Festival every May, a mural-heavy downtown district, and the newly remodeled Silco Theater, built in 1923. A handful of tasty restaurants have put this place on the map -- if you’re lucky enough to score a table at 1zero6 you’ll be served a one-of-kind dinner (no menus are repeated). Throw back handcrafted cocktails at Little Toad Creek Brewery, and in the morning, lose yourself in the pine trees on a hike in the Gila National Forest. -- R.M. 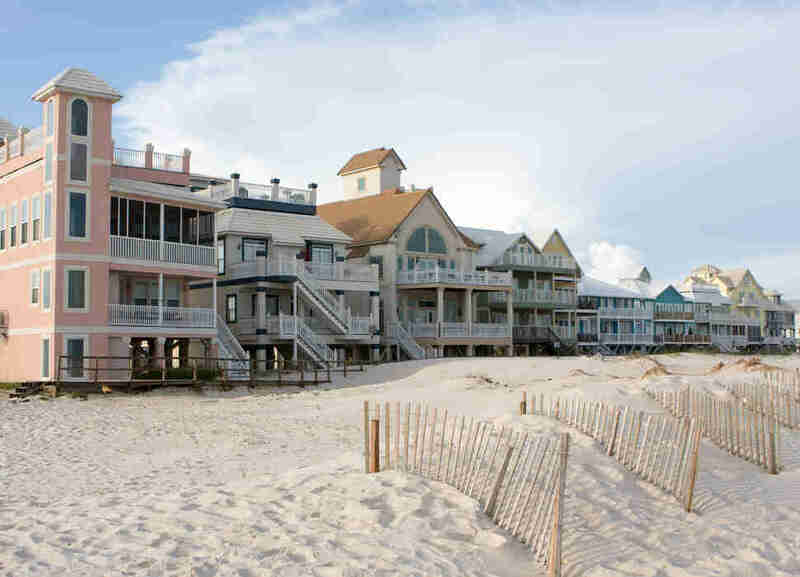 Coastal North Carolina swarms with idyllic beach towns: Wrightsville Beach, Hatteras Island, Seaside. 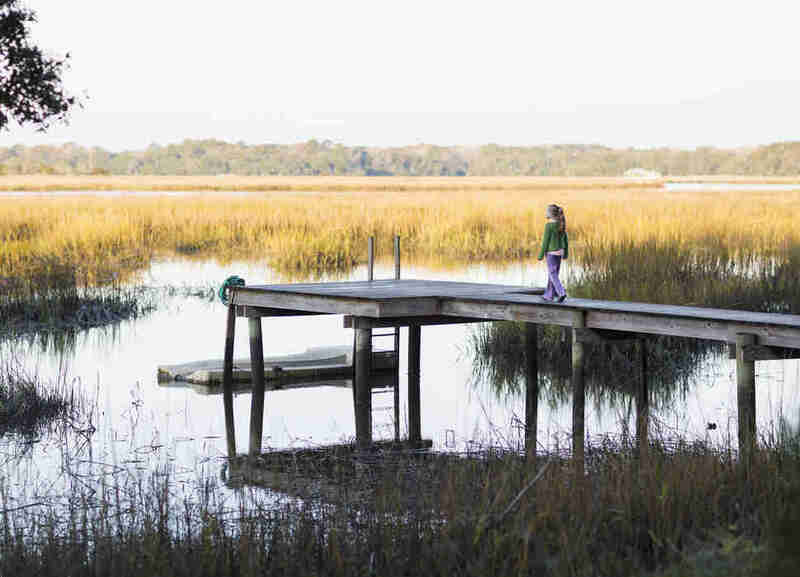 The best-rounded of them is Beaufort, where antebellum architecture and farmers markets under oak trees meet serene Southern coastline and vast, open prairies. Watch the sun rise over the ocean, then head out deep-sea fishing, dolphin-watching, or driving through fields full of wild horses. The wilderness here is actually wild, and while the houses along the shoreline are quaint, nothing ever feels crowded. When you can end the day with a waterfront sunset in the same spot you watched a waterfront sunrise, it’s a pretty special place. -- M.M. 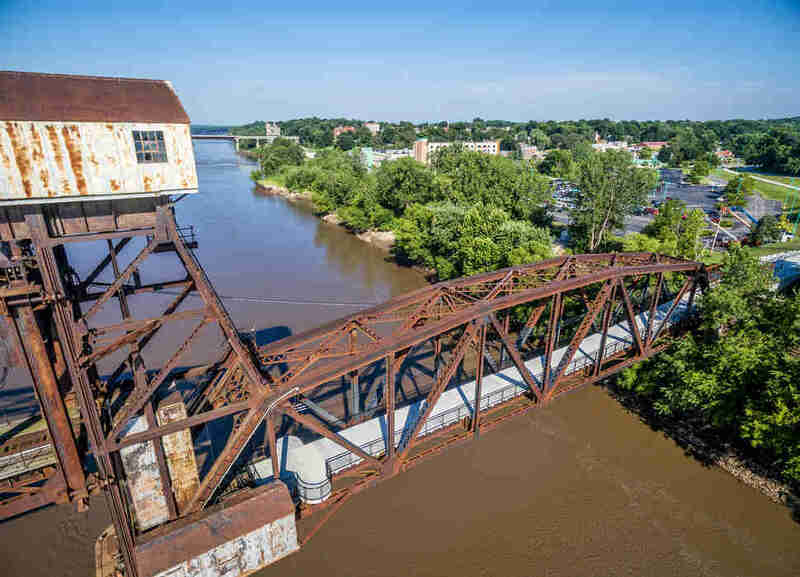 While Japanese gardens and art museums aren’t exactly what you’d associate with North Dakota, this college town brings a lot of unexpected surprises. Sure, it’s home to one of the most beautiful hockey arenas in the country, and if you find yourself in Grand Forks during hockey season, a UND game is like the college hockey equivalent of Duke's Cameron Indoor. But weather permitting, the Grand Forks Japanese Garden offers an oasis of color in the prairies, a gift from Awano, Japan, as part of its recovery from the 1997 Red River Flood. Grand Forks also boasts the North Dakota Museum of Art -- the state’s first -- set in a 1907-vintage former gymnasium. And if you’re into repurposed structures like that, Urban Stampede is the city’s top coffee shop, set in an old-west saloon. -- M.M. With much respect to Cannon Beach and Astoria (love to Chunk and Sloth!) 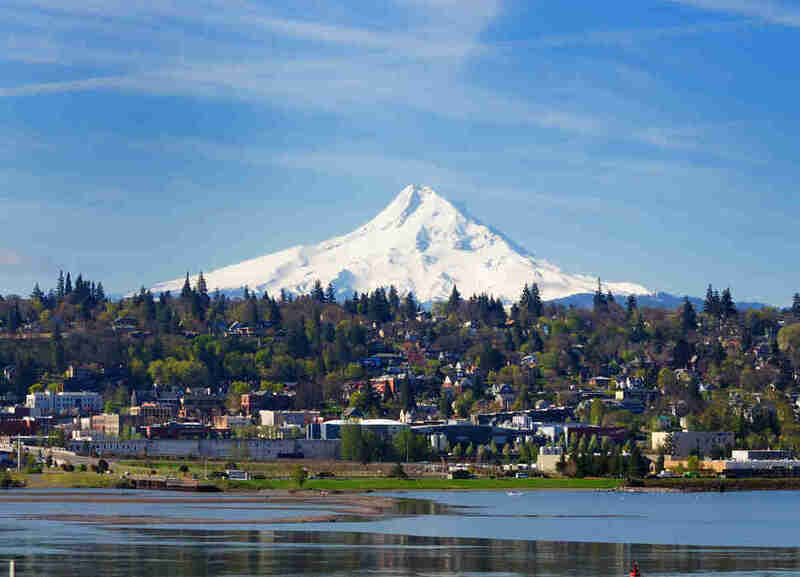 and the high-desert oases Sisters and Bend, no small town captures the beauty of the Pacific Northwest quite like Hood River. The town rises out of the mighty and scenic Columbia River Gorge -- one of the most breathtaking natural areas in the West -- and climbs steadily into the foothills of Mt. Hood. This is a kitesurfing capital thanks to the steady winds, and a gateway to endless wilderness for hiking, snowshoeing, and mountain biking. 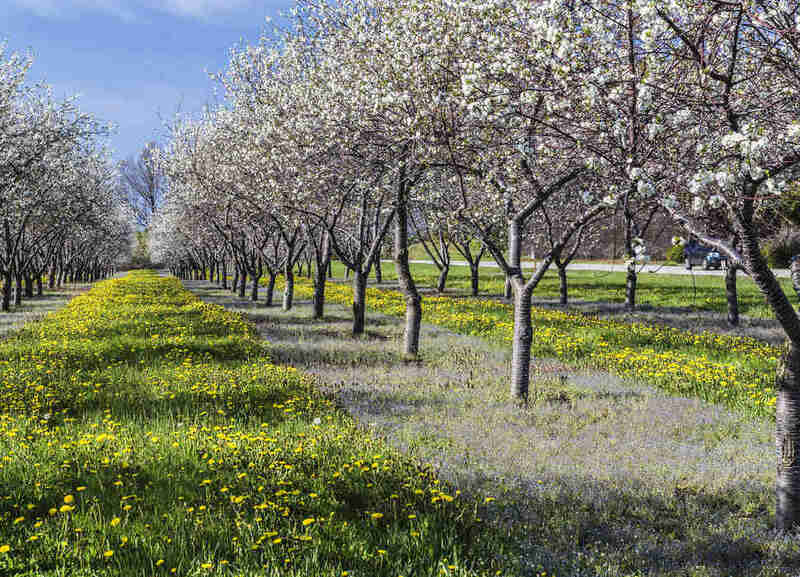 You can cruise the area’s sea of orchards, called the Fruit Loop, or just stroll by the old buildings that make up the hilly, walkable downtown. Oh, and because it’s Oregon, there’s beer. Lots of beer. Five breweries -- including Full Sail, pFriem, and Double Mountain -- call downtown Hood River home. That’s a brewery per 1,700 residents. No wonder people here are so friendly. -- A.K. 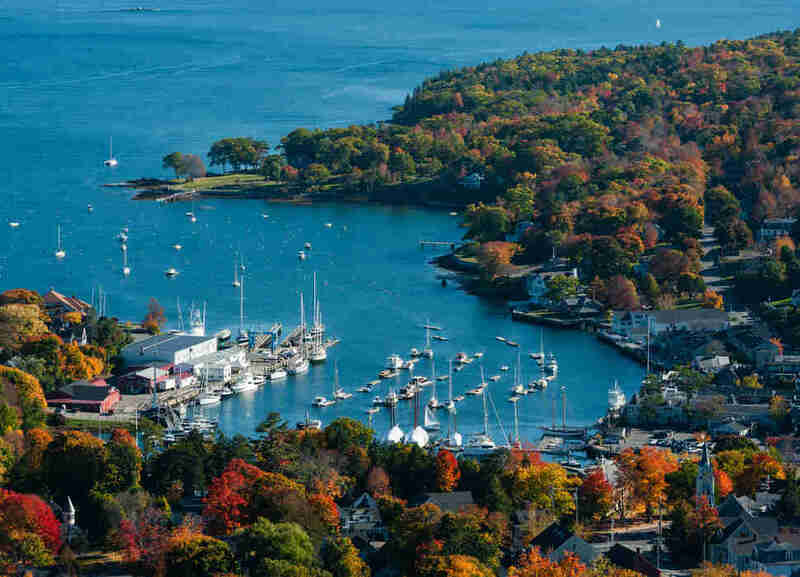 Nowhere in New England compares to the Gilded-Age splendor of Newport, a coastal town set upon cliffs dotted with some of the most spectacular mansions of the 19th century. The must-do activity here is, obviously, touring the Newport Mansions, but that’s far from the only draw. Newport also hosts the annual Newport Regatta, one of the biggest sailing races in America bringing with it the best sailing parties. Held in July, the Regatta is the ideal time of year to visit, but even if you miss it there are still plenty of wide, sandy beaches to lounge on for the day, and a surprisingly good wine region just on the outskirts of town. -- M.M. The South Carolina Lowcountry has no shortage of coastal charm, but some areas can get a little oversaturated. 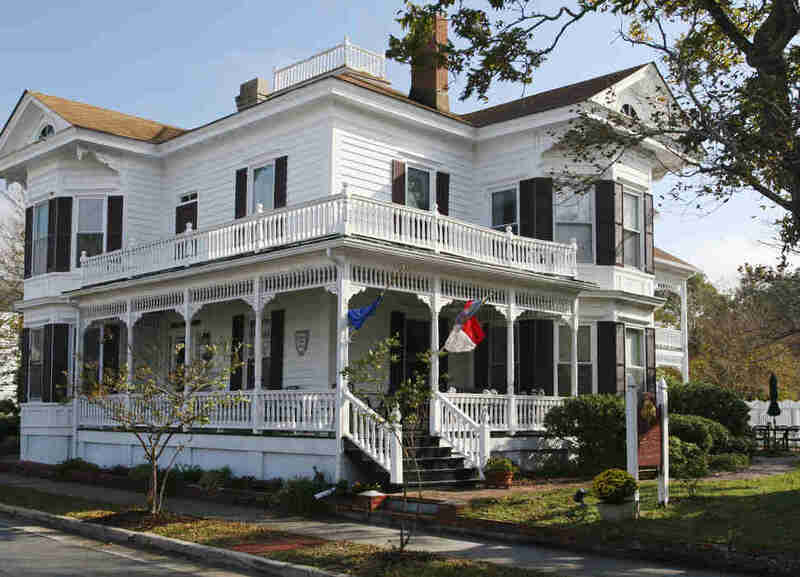 Not Beaufort, a town with all the historical allure of Charleston at a slower, easy-going pace. The beauty isn’t limited to its streets: Head out to the barrier islands, like Saint Helena, where rural simplicity, fragrant marshes, and live oaks draped in Spanish moss make for instant relaxation. Experience the Gullah culture of emancipated African-American slaves who moved to these islands centuries ago and have preserved much of their distinctive language, food, and customs. Then boat out to the isolated Daufuskie Island, a car-less escape stocked with colorful characters. If you’d like to see where Marines are made, you can visit the Marine Corps Recruit Depot at Parris Island, also the setting for the first half of Full Metal Jacket. -- M.M. Western South Dakota, with its Black Hills, Badlands, and Elk Mountains, might be the most overlooked scenery in America. The best place to take it all in is Spearfish, nestled at the mouth of Spearfish Canyon. 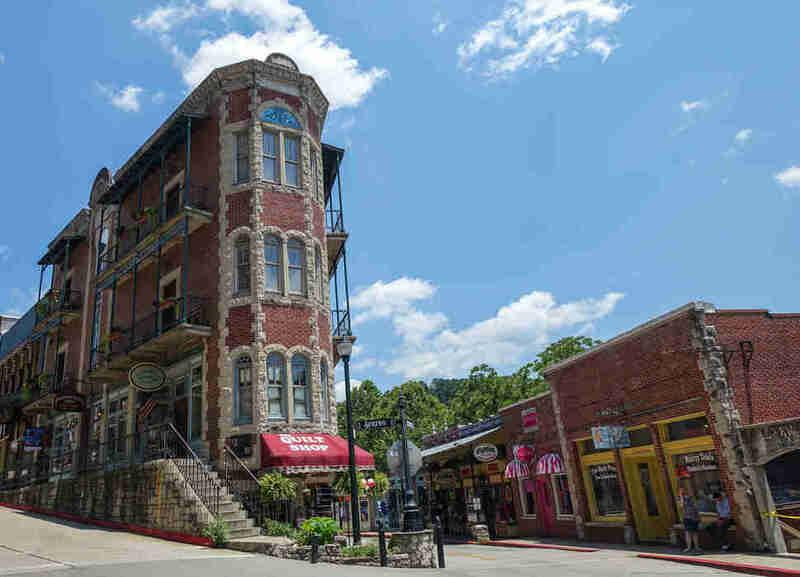 Main St here is classic Old West, but venturing out of town is a must, whether hiking deep into Spearfish Canyon to see some of the most staggering cliff faces in America, or to Sturgis and its famous bike rally, or the casinos in Deadwood. If you must, hit Mt. Rushmore. None of it is too far for a short day trip, which may be part of the reason the most expensive real estate in SoDak can be found in Spearfish. -- M.M. Utah is one of the most unquestionably beautiful states in America. 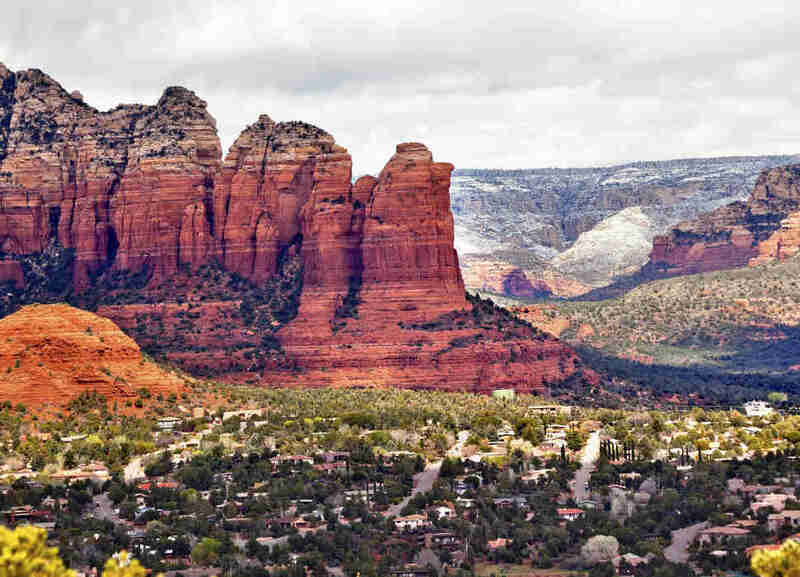 The mountains up north offer plenty of scenery and skiing in towns like Park City, but for the out-there desert experience, look south to Moab, the most hippie town in Utah and a gateway to the vast wilderness of the Arches and Canyonlands National Parks. With organic restaurants aplenty, the food options are more distinct than elsewhere in the state, and the people here are much more desert than they are Deseret. You’ll find a sizable collection of artists, wanderers, and adventurers who all have an interesting story to tell. -- M.M. Imagine the fictional Stars Hollow, but instead of an inn, Lorelai Gilmore runs an upscale dairy farm-turned-museum that dates back to the mid-19th century. There, you're in Woodstock. In fact, this charming oasis at the foot of the Green Mountains is so picture-perfect, the town buried its telephone wires to attract more Hollywood productions (you might recognize locations around town from Forrest Gump). Take your obligatory snapshots at one of the city’s historic covered bridges, eat fresh pie at the Woodstock Farmers Market, and visit the historic Marsh-Billings-Rockefeller Mansion. 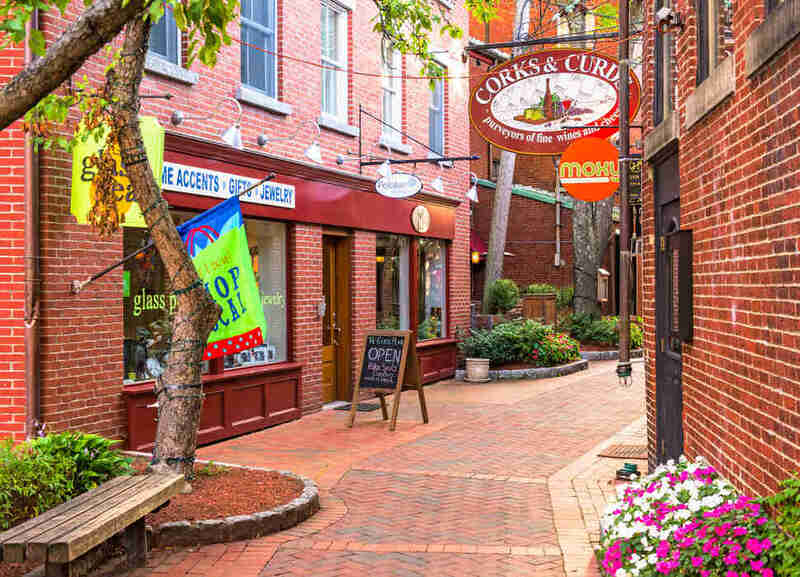 Then meander to one of the other adorable towns in the Upper Valley -- Barnard boasts a general store dating to 1832 and a fun summer farmers market with live music every Thursday night. -- T.S. We see you, Charlottesville. But in the foothills of the Shenandoahs, no-stoplights Sperryville is as quaint as they come. Plan to stay at Hopkins Ordinary Bed & Breakfast, a B&B with an on-site brewery, one of several sources of top-notch brews. Pen Druid is a wild new fermentation brewery famous for Golden Swan, made from wild yeast strains found in Sperryville’s wildflowers. Locals opt for Rudy's Pizza or farm-fresh sandwiches at Before & After, but just up the road in Washington is the two-Michelin-starred The Inn at Little Washington. Diners book months in advance and come from near and far to try chef Patrick O'Connell's menu. Just make sure to get to bed early -- Old Rag Mountain beckons. This 9-mile hike is a safe bet for some mind-alerting views, especially at sunrise, when you’ll find few other hikers on the trail. --T.E. Obligatory shout-out to trendy college town Bellingham in the north and Bavarian-themed Leavenworth in the mountains. But for a combo of breathtaking waterfront scenery, first-rate food, and loads of great watering holes, Edmonds gets our vote. Known to many Seattleites as simply “that place to get the ferry,” Edmonds has grown into a destination town in its own right, with spots like Salt & Iron and Bar Dojo anchoring a downtown long on big-city-worthy dining options. Enjoy a summer sunset over Puget Sound with a cocktail at Rory’s, or sip a famous northwest latte at Walnut Street Coffee. And outside Seattle, the state might not have a finer performing arts center than the Edmonds Center, which hosts theater and ballet all year long. -- M.M. No small town in WVA is more worthy of a visit than the home of West Virginia University. Game days in Mo-Town are no joke, and the bar scene here rivals any major-conference college town. Suds and sports aside, Morgantown sits near the Cheat River, one of the premiere whitewater destinations in America. And a hike to the top of Coopers Rock gives you a jaw-dropping, vertigo-inducing peek into the 1,200ft gorge below. -- M.M.